With the recent news of Apple losing over $60 billion within days, many tech experts have given their personal reviews on the actual worth of the iPhone. If you could remember when the iPhone Xs was launched, many reviewers and users commented about the outrageous prices at which the phones are being sold for considering the actual amount that goes into the production of the iPhone. Some have even noted that the liquid retina display the Xs sports is just another gimmick that is not worth the hype, has the iPhone become of a luxury than an actual device, most celebrities solely make use of the iPhone which has reinforced the idea that the phone is a sign of wealth and fame. With all these said, why are Apple still selling if their products are “overrated”, well it all boils down to quality and aesthetics. The iPhone lasts for a very long time in terms of durability and industrial standards, many have used a particular iPhone for over three years and they still make use of it; this can’t be said the same for other smartphone brands. Apple has always focused on innovations and the constant improvements of their devices, they are premium and you feel it when you hold it and that’s why they lead the pack. If you could recall they previously made use of the A5 which was manufactured by Samsung but later decided to produce their own. Some other brands have gone to great length to copy its shape and even its OS. Their cameras cannot be compared to any other, the iPhone 6 plus which was released over 3 years ago can go toe to toe with most phones released in 2019 (undisputed facts). The recently released Xs have taken some astonishing photos that many could easily confuse as that taken by a DSLR camera. Despite having “low” numbers of megapixels and info about their cameras the iPhone has outdone phones with 48 megapixels. The iPhone’s software is clean and one of the most secure on the planet, you hardly hear of a virus attack or any sort of vulnerability since their ecosystem is mostly run via cloud which helps to prevent hackers. 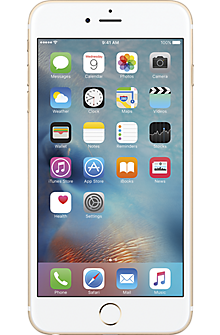 There are some phones that can be easily stolen, unlocked and resold in the market but not the iPhone. Their processing speed is lightening fast and is sometimes used as a benchmark for other devices, they handle task easily and allow for multitasking that have continued to amaze experts since most of their phones don’t come packed with 6gb ram or more. I don’t see the phone as being overrated but a premium device that can handle and manage tasks easily compared to most devices out there in the market but I sometimes see them as pricey but is it worth it? YES, definitely! Posted by Mr. Cis on January 17, 2019.